Commercial Grade Electric Modular Punch with Automatic Paper Ejector & Stacker. 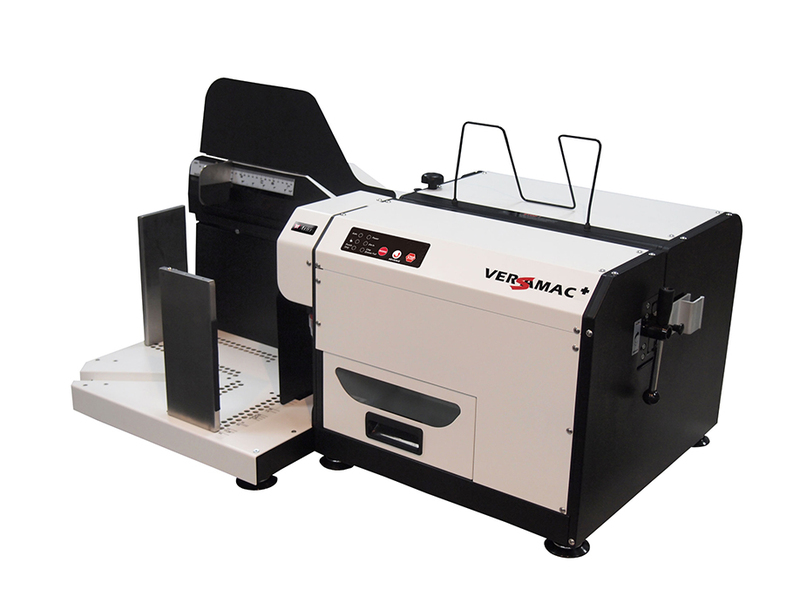 With its ability to Automatically Punch, Eject, Stack, and Jog, the Akiles VersaMac+ is the perfect solution for high volume commercial environments, where speed and dependability are key. • Heavy Duty Punch Motor: Punches over 500 sheets per min with 70 punch cycles per minute. • Interchangeable Die Sets: Quickly change punch patterns by sliding any of the 14 available die sets in and out. No tools needed. • Extra Large Paper Stacker: Holds up to 1500 sheets or 3 reams of 20 lb paper and includes a built-in jogger. • 3 Year Warranty: The VersaMac Plus is covered by our industry leading 3 year warranty and loaner program. • Side Margin Control: Positions your paper for a well-centered punch. • Mode Toggle: Switch between Auto, Foot Pedal, and Punch Only Operation. • Die Storage: Conveniently store up to two dies. • Paper Guides: Adjustable guides align stacks up to 14″ wide. • Stacking Table: Stacks up to 1500 sheets of 20 lb paper and includes a built-in jogger.